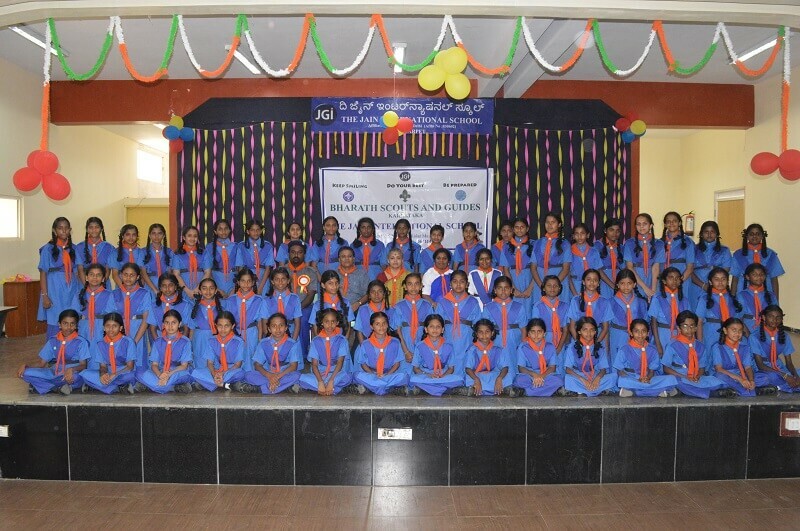 The Jain International School Bangarpet Inaugurated the Cubs, Scouts, Guides and Bulbuls on 26 September 2018. The senior officials of all four units of Kolar district inaugurated the event with great enthusiasm. For the first time in the history of Kolar district, the student enrolment has been the highest from The Jain International School Bangarpet. The objective of the event is to promote self-motivation, self-discipline, sensitivity towards the environment and above all service to the society. The children took the pledge and promised to adhere to the rules and regulations in the presence of Principal Ms. Annapurana H N and Coordinator Mr. Vinod Jain.